Many musicians have slowly but steadily created the landscape of what we now know and identify as rock and roll music. The many bands and artists that emerge today have all been influenced by the brilliant musicians of the yesteryears. So many classic songs live on up to this day, primarily because of their contribution to shaping the arena of rock music, which is one of, if not the most popular music genres there is. The Beatles and the Rolling Stones are two magnificent bands that have paved the way for rock music to be loved and appreciated. Till this very day, they are remembered and often listened to—many of the songs they released decades ago remain valued, gaining a timeless quality to them. The Beatles were formed in Liverpool in the year 1960. The world knows them the famous fab four: John Lennon, Paul McCartney, George Harrison and Ringo Starr, a line-up that began in 1962 till the band’s breakup; there were two other members from the initial line-up—Pete Best on drums, and Stuart Sutcliffe on bass guitar, who Ringo and Paul eventually replaced. Initially, the band’s name was “The Beetles” as conceived by Stuart, and several other names were suggested until they settled for “The Beatles” in August 1960. The Rolling Stones was formed in 1962 in London. 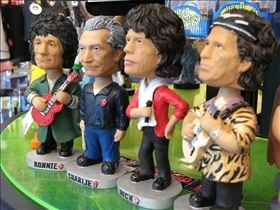 The current line-up consists of Mick Jagger, Keith Richards, Charlie Watts and Ronnie Wood, with over five former band members contributing to their music. The conception of the band was initiated when Keith Richards and Mick Jagger were acquainted with one another at the London School of Economics, and they both realized they share the same taste in music. The band’s name comes from a song released by Muddy Waters, a blues singer who both Keith and Mick idolized and admired. The Rolling Stones were oftentimes considered to be the rebellious counterpart of The Beatles. While the Stones projected an attractively defiant and wild image while dishing out cranky blues tracks, the Beatles serenaded their way gently into the hearts of their legions of fans, generating what has been coined as “Beatlemania”. Despite their differences, both bands have shared their own versions of songs such as ‘Roll Over Beethoven’ by Chuck Berry and ‘I Wanna Be Your Man’, a song written originally by John Lennon and Paul McCartney. The popularity of both the Rolling Stones and The Beatles can be attributed to the fact that they were deemed pioneers in their own special ways; they brought forth an intensity and uniqueness in their music that was not as visible with other musicians of their time. Though the only surviving members of the Beatles’ are Paul McCartney and Ringo Starr, the band’s memory lives on. During their heyday they were able to score seven Grammy awards and were even inducted into the Rock and Roll Hall of Fame in the year 1988. All four members of the band were made Members of the Order of the British Empire by Queen Elizabeth II in the year 1965. The Rolling Stones will always be remembered for their evolving styles that incorporated rhythm and blues. They won two Grammys and took home the Lifetime Achievement Award in the year 1987. Up to this day, The Stones still play and create music. The Rolling Stones were perceived to be wild and defiant. The Beatles’, on the other hand, were considered sweethearts by their fans. The Beatles are the subject of a new Las Vegas production of ‘Love’ by Cirque du Soleil. Both the Stones and the Beatles’ forever changed the landscape of the rock music industry. Which rock group made a bigger impact on the music industry? 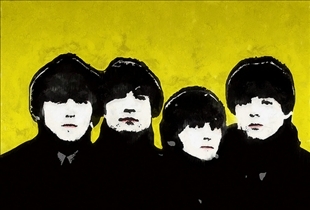 the beatles are untouchable. they influenced everything and paul's lyrics singlehandedly delivered the most positive love messages to the world.